Check out the nominees for…. Outstanding Prosthetic Makeup There are so many great nominees in this category, like Boardwalk Empire, Walking Dead, American Horror Story, Game of Thrones, and Once Upon A time, it’s hard to have a favorite. 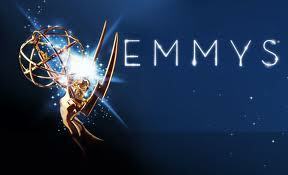 Click here to see the list of Primetime Emmy Awards nominations for 2012 – Outstanding Prosthetic Makeup For A Series, Miniseries, Movie Or A Special. 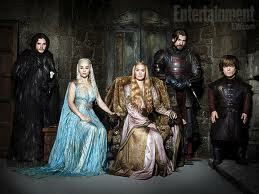 I do ❤ Game of Thrones, for the story line and the makeup. I do appreciate the period specific hair and makeup. Plus there are a lot of people getting disemboweled and having their head and limbs cut off. Not to mention all the dirt, blood and things like The Hound’s facial burn. That’s a great deal of work for a lot of makeup artist. CG hasn’t taken all the makeup jobs yet. 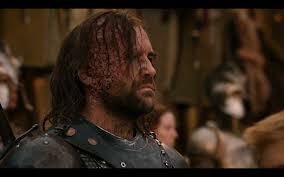 The Hound, from HBO’s Game of Thrones has a huge burn prosthetic covering most of the right side of his face. Here are the makeup crew on Game of Thrones. My hat’s off to you. Please feel free to leave comments and let me know what you are thinking. I would love to hear from you! Wow, I didn’t know that there were emmys for makeup. I guess being a make up artist in burbank ca wouldn’t be too bad after all. I’m sure that would be a real boost to your business.